We trust the test results as a doctor explains them to us. After all, they are the expert. The doctor ordered the tests I needed, right? Unfortunately, when it comes to finding hypothyroidism and explaining patients thyroid symptoms like infertility, PMs, depression, weight gain, etc, the standard testing is laughable. It is missing so many people it can hardly even be considered a strainer. There are two main reasons for this. 1. The standard test is only 1 marker. This is completely unacceptable. A normal test is only TSH. If you have the symptoms of hypothyroid, then you need a test with at least 4 markers, but preferably 7. If you have thyroid symptoms, run the complete panel of TSH, T4, T3, Free T4, Free T3, T3 uptake, and rT3. It may even be appropriate to test thyroid antibodies to check for Hashimoto’s, an autoimmune disease which is the #1 cause of hypothyroidism in the United States. These antibodies are virtually never run on a hypothyroid patient. 2. The laboratory range for TSH particularly is horribly inaccurate. The labs values are set by labs who calculate a normal by testing many sick people and thus the normal range is unreliable. Ranges created by organizations such as The Endocrine Society’s recommendation for TSH of 1.8 to 3.0 (much more narrow than typical labs allow) would certainly help identify more people suffering from thyroid symptoms. Thyroid Medications. What’s the deal? Why all the hubbub? If you have been diagnosed hypothyroid, then you probably take thyroid medications and know there are a host of different options out there. Some are natural, some are synthetic, some offer T4, some T3 and others are a combination of both. Because of the variance in thyroid symptoms, different medications will work better or worse for different people. There is no one size fits all. However, here is what they are not telling you. If you take thyroid medication it is probably because you have an autoimmune disease! The #1 cause of hypothyroid in the United States is an autoimmune disease called Hashimoto’s, which means your own immune system is attacking and destroying your thyroid! Another HUGE complication is that the shift if your immune system causing this disease actually decreases the effectiveness of thyroid hormone. That’s right, you could take the best hormone in the world and your own immune system imbalance could make it ineffective, a waste, useless. We must ask better questions. A great place to start is, “What is causing my thyroid to dysfunction” and “What does my immune system need to be healthy?” Read more about our immune system testing. Thyroid, PMS, and Infertility. How are these related? Did you know that it is not normal to have symptoms like PMs, cramping, bloating, nausea, or heavy bleeding around your period? While it is not normal, it is so common today it is almost taken for granted. The two dominant female hormones are estrogens and progesterone. Typically women who experience problems are experiencing low amounts of progesterone and are what we call “estrogen dominant”. Both hormones, in balance, are needed for a healthy cycle free of these aggravating symptoms. Low progesterone is also a huge factor in people struggling with infertility. The thyroid connection between these conditions lies in progesterone and hormone receptors. Traditional endocrinology is very worried about the levels of each hormone in your body, and if you don’t have enough you are prescribed a pill or cream or shot of that hormone to “bring it up”. What is usually completely ignored is the health of these hormones “receptors”. Each hormone has a receptor it must bind on to do its job. So even if there is enough hormone to go around, if the receptors are not active, then you can still have major symptoms. Here’s another great connection: Thyroid hormones and progesterone help each other’s receptors stay healthy! So if you struggle with infertility, PMs, or other female hormone related symptoms it is also necessary to investigate thyroid health for the sake of your progesterone receptors! 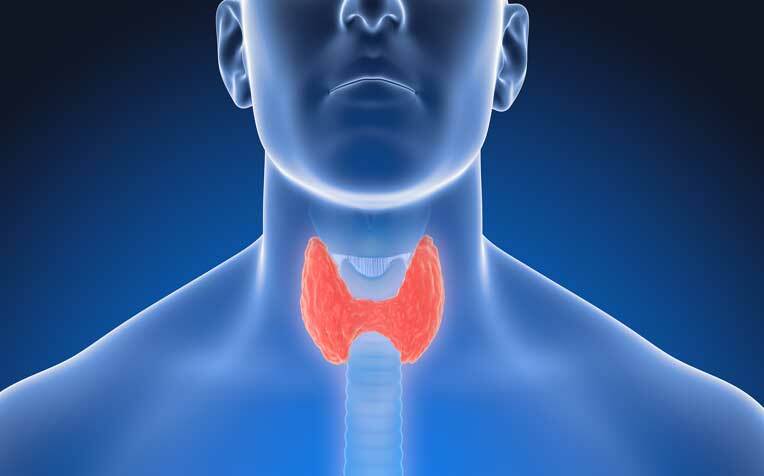 Grave’s Disease, Thyroid Growths, and Thyroid Cancer: Is there help for me even if I’ve had the thyroid removed or killed with radioactive iodine? This is a question that pops up frequently when I am out talking to a group, and it is one I love to receive because I have such good news for people. Even if you don’t have a thyroid anymore, there are still many things that can be done to enhance the effectiveness of the medication. If you had your thyroid irradiated and now are on thyroid hormone replacement, you should feel normal! You should not feel tired, have problems with weight, brain fog, constipation, depression/lack of motivation, cold hands/feet, dry hair and skin, etc. If you have these symptoms, then your thyroid hormone medication is NOT WORKING despite what the lab tests say. One of the secrets of thyroid problems is that the thyroid hormone has many working pieces outside of the thyroid gland. Effective thyroid hormone is dependent on several chemical alterations in the liver, the intestines, carrier proteins in the blood, the effectiveness of thyroid receptors and the response of the cells. All these things are still vitally important to someone who doesn’t have a thyroid gland and if there is a problem on any of those steps, your blood tests will look “normal”, but you will not feel normal. Thyroid and Serotonin and Depression: how are these linked? In the last decade, depression has been strongly linked to low serotonin levels in the brain. The newest class of drugs given to patients to help with depression are called SSRI’s and include things like Prozac and Zoloft. These drugs work by increasing the amount of the neurotransmitter serotonin in the brain. While that is a good thing, there is a fundamental question that is not being asked! What is missing in the person’s brain that their nerve cells aren’t producing the serotonin they should be!? Doesn’t this seem like an important question? One possible answer is hypothyroidism. Depression is the 3rd most common symptom in patients with untreated thyroid disease with nearly 75% of patients with hypothyroid suffering. Without sufficient thyroid hormone activity, the nerve cells do not get enough metabolic activity to make the serotonin a person needs! Thyroid hormone controls energy and without it, low energy in the brain can lead to depression. Sadly, many people are missed because of the sub-standard testing for hypothyroidism (see above).